Greater Bridgewater Women of Today have stuffed over 10,000 eggs with delicious candy! 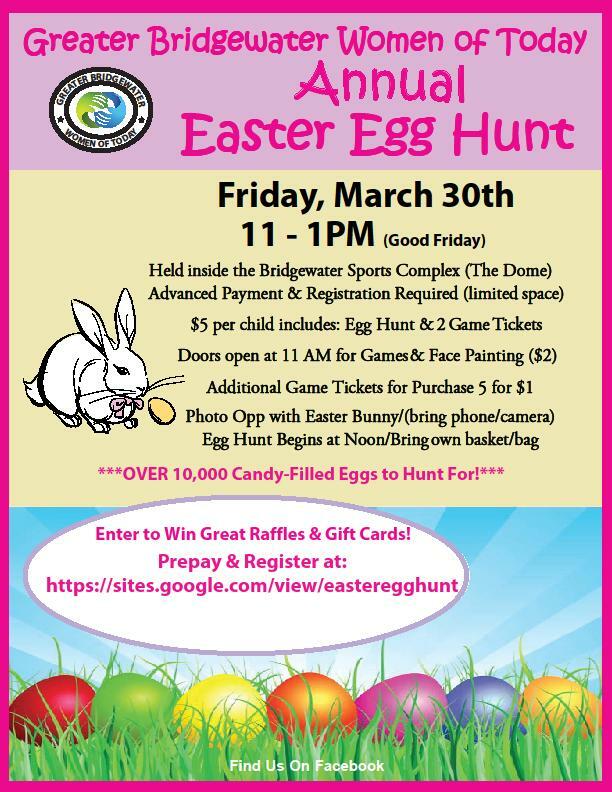 GBWOT invites all children, to their Annual Easter Egg Hunt On Friday, March 30th (Good Friday) from 11:00 AM -1:00 PM inside the Bridgewater Sports Complex (The Dome). Advanced payment and registration is required due to limited space. 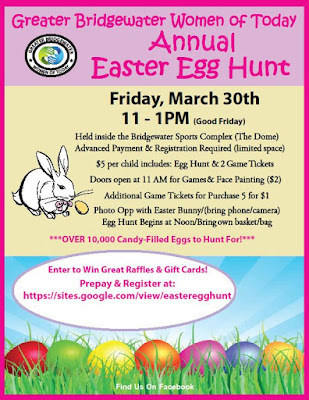 To Register, please visit: https://sites.google.com/view/easteregghunt The cost is $5 per child which includes, the Egg Hunt and 2 game tickets. Doors will open at 11:00 AM for games, photo opportunity with the Easter Bunny (Bring your own phone/camera) and Face Painting ($2). Additional Game Tickets for Purchase 5 for $1. The Egg hunt begins at noon. Please be sure to bring your own basket or bag. There will be great raffles and gift cards you can enter to win!